How Do I Answer My Friends' Questions About The Da Vinci Code? I am a Graduate Student of Chemical Engineering at ______ and I hail from India. I was born in a Christian Family and I am a believer. The book The DaVinci Code by Dan Brown has caught the attention of lot of Indians who are unaware of Jesus and the true meaning of Christianity. Some of these Indians are my friends and are predominantly Hindus. As a rule I haven’t read the book but when they tell me that the book is compelling and “real”, I have no answers to the questions that are posed to me. I must confess that I am not as well versed with the Bible and the history of Christianity as I ought to be. How do I read The DaVinci Code knowing the facts and not getting fascinated by the fictional “facts”? Thank you for writing, and I understand your dilemma. 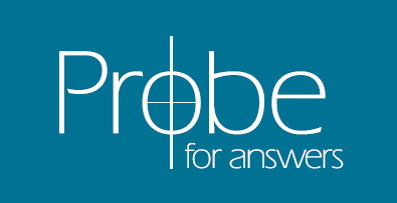 First, Probe has an article by Michael Gleghorn which addresses many of the issues in the book. See www.probe.org/redeeming-the-da-vinci-code-2. Second, the book is definitely an entertaining read. It’s worth it as long as you can separate the fact from fiction. Third, look at the bright side. Your Hindu friends are asking questions about the Bible and Jesus. See it as an evangelistic opportunity, and we can thank Dan Brown rather than curse him. You can now download Powerpoints of four Probe lectures in our “Decoding The DaVinci Code” series here. "Why Are You Trying to Redeem Darwin?" "How Do I Find Out Who I Am Inside?"